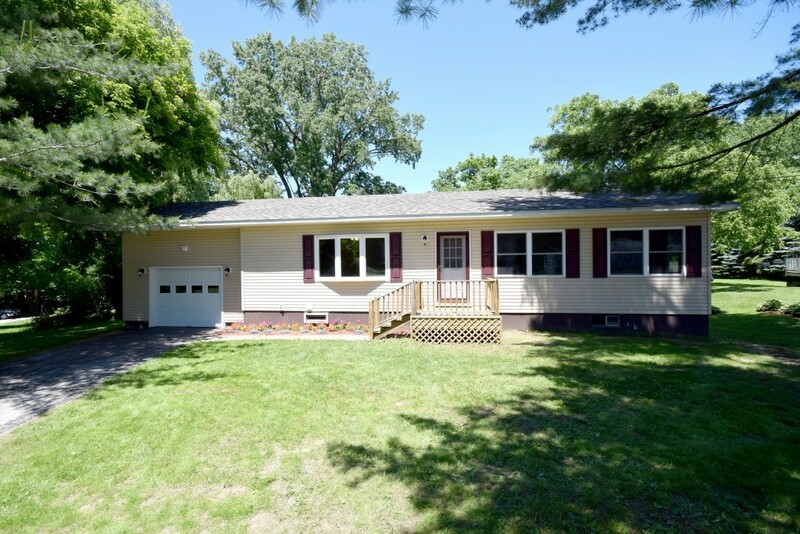 Completely updated 3 bedroom ranch in a great downtown location! Snap up this amazing property with a private backyard on the end of a cul-de-sac before it’s gone! Eat-in kitchen has been redone top to bottom with new cabinets, stainless steel appliances, new fixtures and hardware. Kitchen features a perfect space for a dining room table with slider to the deck for the grill. Spacious living room with coat closet and beautiful bay window. Hardwood floors extend throughout the home into the 3 bedrooms in the back. Master Bedroom boasts his and hers closets, hers being a walk-in. Ceiling fans in every space keep the whole house cool in the summer, and radiant heat warms it up in the winter. Full walk-out basement is ideal for storage space or a great chance for future finishing! Conveniently located just 7 minutes from Champlain Country Club, and less than 15 minutes from the St. Albans Bay Park and the waterfront! Call (802) 488-3488 to schedule an appointment today! Please click here for further information regarding this property.